How To Stay Assured If Your Cats Can Have Peanut Butter? How Often Can My Cat Eat It? 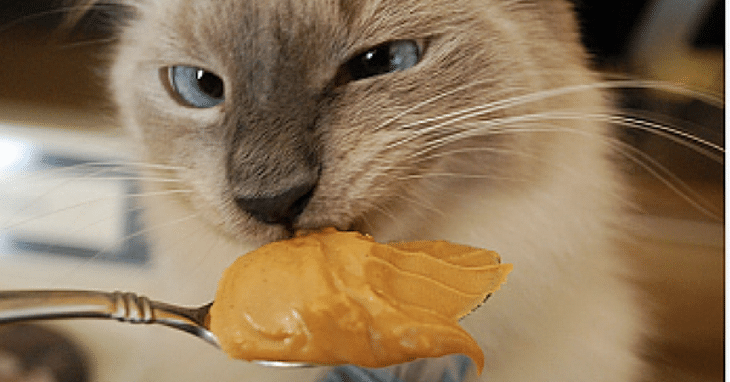 How Much Peanut Butter Should a Cat Eat? ​What Should I Do If My Cat Suffers From Diarrhea After Consuming Peanut Butter? Are you the caretaker of a beautiful cat and wondering can cats have peanut butter? Well, this is one of the most common concerns and people are too curious to find reality behind it. While on one hand dogs are crazy about peanut butter, it gets a little confusing to find out if cats really feel the same. 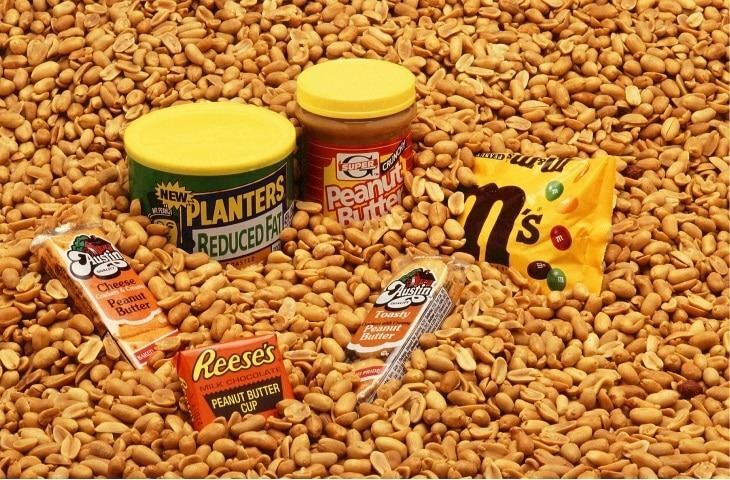 Peanut butter comprises of protein and fat, and along with it, it has salt and some carbohydrates. Depending on the type and quality of butter, it also has added sugar for taste. When peanut butter is presented to dogs they often feel excited to consume the same, on the other hand cats are not much excited to have it around. To know the preference of cats towards peanut butter, it was presented to four cats out of which two cats yawned, the third one went to the kitchen, and the last one was waiting for some better and different choice to eat. This incidence very well clarified that cats are not much inclined for peanut butter and this is one absolute thing which hardly makes them crave for it. Cats being picky eaters are not required to be served with a variety of foods to stay healthy. With limited and healthy food options cats can live a long and healthy life. Cats being carnivores are most of the time on a meat diet, this is one of the reasons they are hardly inclined to consume peanut butter. However if owners are inclined on serving their cats with butter it is essential that they make them well versed with the taste during their young age. This way they can get accustomed to it, and you never know if they prefer consuming it. However, in spite of this don’t be surprised if your cat still declines to consume the butter and simply avoids it. On the contrary there are also chances that your cat gets inclined towards consuming peanut butter. In such a case it is owner’s primary responsibility to ensure that butter is free from any form of additive or additional sugar. Butter without additives might not do much harm to cats in comparison to butter which has additional content added in it. Fats, sugar and salt are only recommended in medical conditions and situations when vets believe that it can bring in improvement in their health condition. While most of the cats are not interested in consuming peanut butter, for some, who find it interesting one of the good news is the butter is not at all harmful for consumption of cats. The fact has been stated in ASPCA’s list of people foods to toxic cats. However one should make a note that it does not either adds any nutritional value to the body of cats. Cats being carnivores, they have different nutritional needs which can only be met by having a diet that includes animal based proteins. One should make a note that cats while consuming other food like peanut butter might not have sufficient capability of processing it well. Hence it is difficult to straight away point out the benefits and disadvantages of serving cats with peanut butter. Every cat might react to this butter differently. Hence each cat should be observed closely and should be provided butter only if it is doing some benefits to them. Cats overall are not recommended to consume peanut butter regularly unless prescribed as a form of medication. The fact that it should be avoided is, it contains a lot a fat and can lead to obesity. Considering the impact of peanut butter on cats, caretakers should constantly avoid feeding them with the butter. However preventing them from butter might get difficult if your cat is crazy for them same. In such a situation, to ensure that your adorable cat does not feels bad and he/she also not fall ill serve peanut butter to the kitten on an occasional basis or as a treat. This way cats can stay healthy and also enjoy the amazing tastes and benefits of water. If in case your cat is crazy for peanut butter, go ahead and provide them in small quantities. This way you will be able to keep your cat happy and also ensure to keep them in good health. Half a teaspoon twice a week is an acceptable quantity which can be served to cats. However while providing peanut butter, make a point that this butter is not provided on daily basis as it might have harmful effects on cat making it obese and unhealthy. As discussed above, cats should eat peanut butter in small quantities. Hence owners can feed their cats with half a teaspoon of butter couple times a week. However, before serving, adequate checks should be conducted on butter ingredients and if any of the ingredients can cause harmful effects on cats. If any of the ingredients are found inappropriate it is advisable to keep your cats away from peanut butter even two times a week. Cats are highly advised to consume animal proteins to meet their nutritional needs, even though peanut butter is rich in protein it also constitutes of fat and carbohydrates. It also often becomes the reason of diabetes and also has serious repercussions on the health of cats. If cats are fed with too much of peanut butter, it often leads to vomiting and diarrhea in them. Such problems are caused because cats don’t have strong digestive systems unlike humans and this is one of the biggest reasons they are not able to break down its fats. Hence if in case your cat is not at all able to digest peanut butter, it is better to avoid it and provide them with other healthy eating options. Apart from this, owners must make a note that peanut butter is sticky, and can stick to cat’s mouth and throat. It might even cause them to choke. So, try offering your cat a fingertip dipped in butter, he shall keep freckling his tongue to get on with the tacky tidbit. This will help you know his/her reaction towards butter and accordingly shall enable you to take the right decision of serving them with this food component or not. There is good news for all the caretakers; peanut butter does have certain health benefits which can help cats have a good and healthy life. 1. The butter comprises of Vitamin A which is helpful in boosting the immune system of cat’s body. The strong immune system in cat’s body can be of much help to them and also prevent them from acquiring certain diseases. 2. It also has Vitamin E and other minerals which are quite effective in preventing heart problems. Thus with consumption of peanut butter, even cats can expect to stay protected from heart problems. 3. It is also considered effective in doing wonders to cat’s fur. Hence once your kitten is consuming peanut butter you shall find your furry ball to be softer and smoother like never before. You would now love to cuddle her like never before and stay close to her almost always. 4. Proteins present in peanut butter will build muscles of cats strong and healthy. These healthy fats are effective in building healthy circulatory system and also gifts cats with smooth skin and shiny coat. 5. 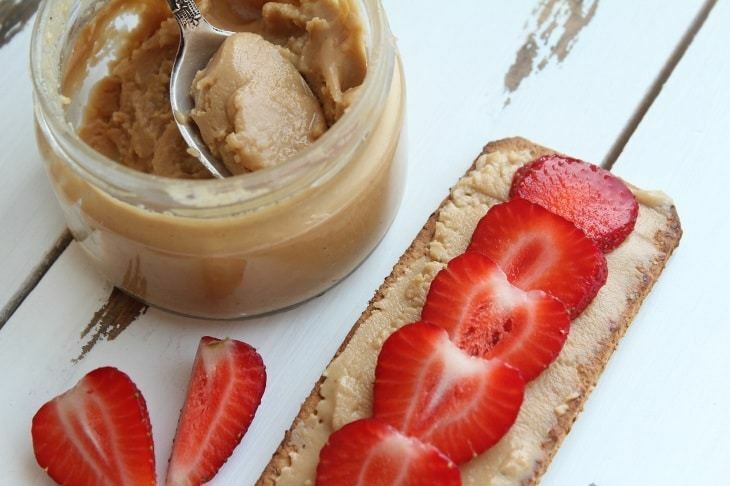 Peanut butter is also rich in Vitamin H or biotin. These components improve sheen on cat’s coat. Along with it, it also enhances the skin and imparts the much-needed strength to nails. Nails and skins are not only the problem areas of humans but can cause immense trouble to animals as well. Thus, with consumption of peanut butter cats can prevent themselves from itchy skin and stay away from various skin problems. Apart from the protein and vitamin content in butter, it should be noted that no other component in butter has any other benefit to cats. 1. Cats being meat eaters, it is advisable that they should be given butter only in extraordinary circumstances or in situations when cats are on medical tablets. ​2. Cats should be provided butter as a treat and not as a regular food item. 3. A healthy diet is mandatory for cats. Both cats and dogs have a different digestive system, considering the fact cats should be offered food according to their system and body. ​4. Consumption of butter can at times make your cat sick; in such a situation consulting vet is the best thing to do. The vet might suggest you the best way forward for your cat. Along with this, they shall also guide you towards adequate and preventive steps that can prevent your cat from any form of suffering or allergic reaction. Even though peanut butter is not a toxic substance, every cat being different might behave differently to butter. Hence it is advisable to closely observe your adorable animal and see his reactions towards consumption of butter. If in case, your cat is hardly affected you can preferably opt to feed him/her with butter on occasional days or as a treat just to make him/her feel happy. If in case your cat develops diarrhea after consuming peanut butter, it is highly recommended to stop feeding your pet. Never try to give your cat Pepto Bismal because it is said to have harmful effects on animals. Instead of using these products, Probiotics must be used and consumed to treat them from diarrhea and gift them with a healthy body. ​Along with feeding cats with proper medications, it is also advisable to stop feeding them for approx. 8-12 hours and keep them on a simple water diet. Some vets in case of diarrhea suggest feeding cats with a mixture of cooked beef or chicken with rice. This can help solidify their stool and improve their medical condition in a short span of time. However if in case, in spite of so many efforts diarrhea continues to persist in cats, it is advisable to visit the best vet in the city soon. 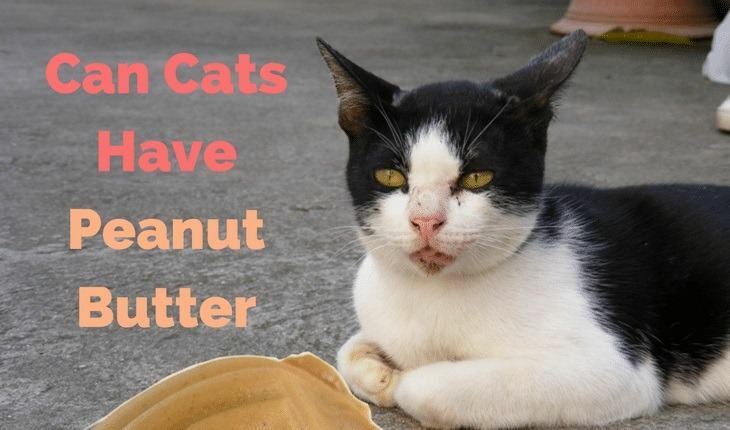 ​As discussed above, peanut butter should only be given to cats occasionally or as a treat. This way your cat’s risk towards allergy can be tremendously reduced. Hence for cats that are served peanut butter for the first time, they should be given butter in little quantity. Upon consumption of butter, make sure to keep a note on their reaction or allergies if any towards it like vomiting, itching, sneezing, swelling, itching, etc. ​From the facts mentioned above, it is well evident that peanut butter is not toxic to cats and the answer to the question can cats have peanut butter is a definite yes. However there are chances that cats do develop allergic reactions towards it. Hence in such situations it is recommended to start with the tiny amount at first and then observe your pet’s reactions towards it. With a slow beginning, your cat will get the chance to slowly get accustomed to the taste and then allow its digestion system to get used to it. How To Find Out If Cats Can Eat Bread?